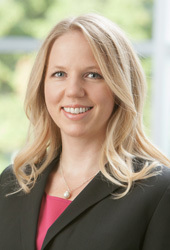 UNMC › Neurological Sciences › About Us › Meet Our Faculty › Amy Hellman, M.D. Dr. Amy Hellman is an Assistant Professor in the Department of Neurological Sciences at the University of Nebraska Medical Center. She attended the University of Nebraska Medical Center where she received her medical degree and completed her internship in Internal Medicine. She then completed Neurology residency training at UC Davis Medical Center, where she was appointed Neurology Chief Resident from 2010-2011. Dr. Hellman held a joint appointment at the Philadelphia VA Medical Center and the University of Pennsylvania where she completed her fellowship in Movement Disorders. She joined the UNMC faculty in August 2013. Dr. Hellman is board certified by the American Board of Psychiatry and Neurology. She is a member of the American Academy of Neurology, the Movement Disorder Society, and the Huntington Study Group. Dr. Hellman evaluates patients with movement disorders including Parkinson Disease, Huntington’s Disease, Chorea, Dystonia, Ataxia, Gait Abnormalities, and Spasticity. She also performs Botulinum Toxin injections and evaluates patients for Deep Brain Stimulation. Her research interests include Parkinson Disease and Huntington Disease.